When it comes to highlights and harvest reports, Colombia has a very square advantage: The size, terroir, and geographical location of this coffee-producing force make sure that there is always news coming from some corner of the country, and its multiple harvest and shipping seasons make it a constant source of interest for us as well as for our customers. While the news out of Colombia this year on a worldwide scale has been about volume (14.2 million bags, even as prices continue to drop), our focus is almost always on the small, super special, sparkling lots that come across the cupping table from farmers who own less than 2 hectares, on average, and whose total yield might be 15–20 bags a year. For generations, producers whose harvests are that small (or smaller) have been essentially forced to deliver to the local market, where the price is more transparent than in many countries but is still below the cost of production, and certainly below the point of profitability. 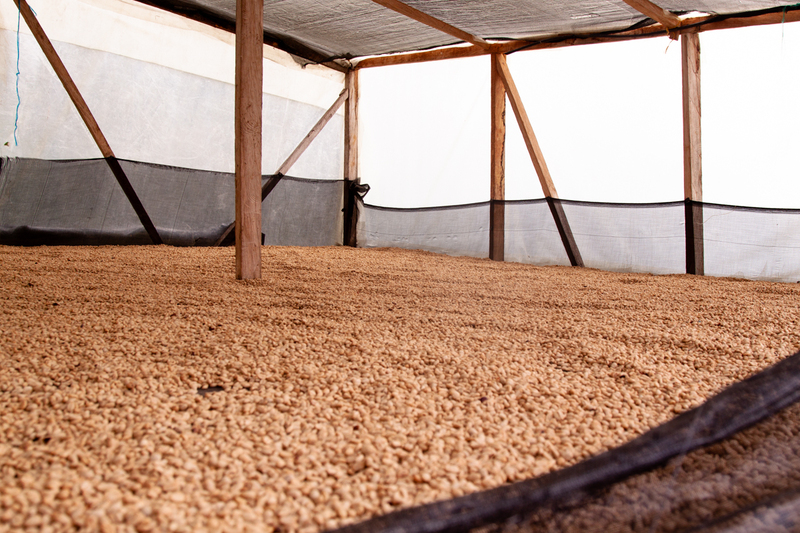 The problem hasn’t necessarily been with quality of coffee, but rather with quality of access: That is, farmers’ ability to discover new buyers for their yield, ideally long-term partners who will not only simply buy the best-quality stuff, but will make a commitment to take all of a farmer’s output, separating it out into quality tiers and paying accordingly. Honest. Transparent. Accessible. Incentivizing. Reliable. Those words describe not only the ways that we plan to do enduring business in Colombia, but also capture the spirit of our partners on the ground there, primarily Banexport and Fairfield Trading Co.—two companies who work for and with smallholder producers, seeking better prices and increased recognition for the enormous potential for quality from small farms across the country. 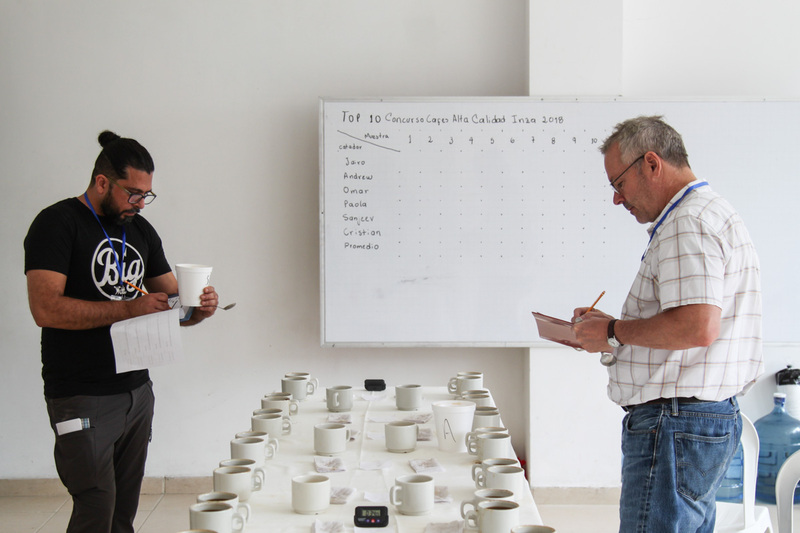 One case in point are the many small, hyper-regional cupping contests behind organized and held in various Departments, particularly in the southern regions of Cauca, Nariño, and Huila where we do a bulk of our sourcing work. This year, Cafe Imports sourcing team members Andrew Miller and Sam Miller, along with sales representative Omar Herrera, joined Banexport in the Cauca municipality of Inzá at the invitation of the mayor, where they partook in the second Concurso de Cafés de Alta Calidad, or “High-Quality Coffee Contest.” Inzá is a relatively new-to–Cafe Imports area, but for the second year in a row we have been able to connect with a group of dedicated farmers whose coffees knocked our ruanas off. 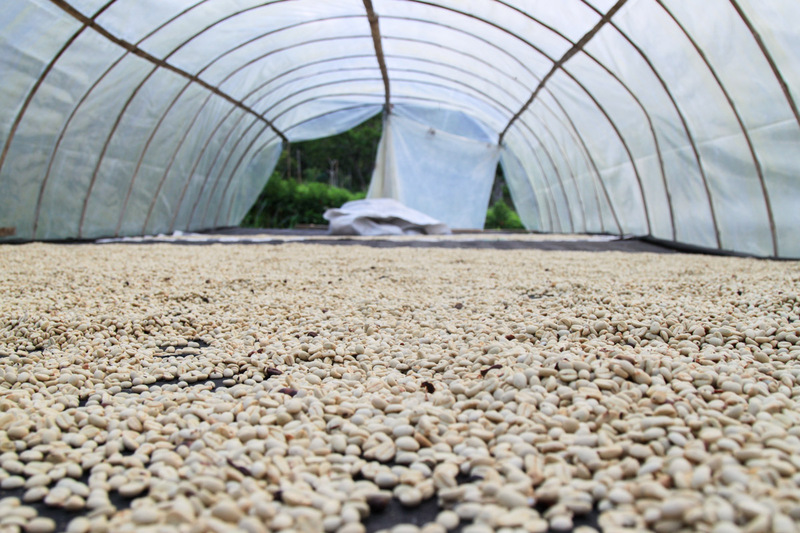 A similar event took place in the municipality of Samaniego, Nariño, last fall, where a small quality-focused event was arranged for Sam and Andrew, along with green-coffee buyer Luis Arocha. 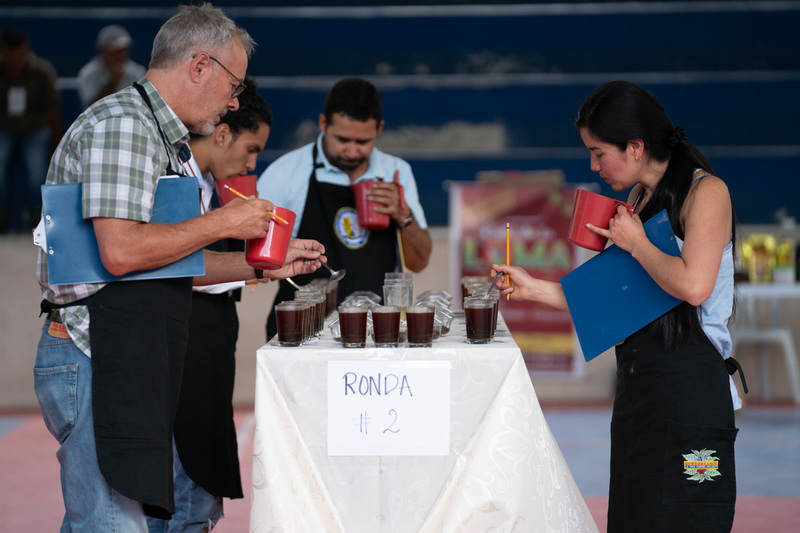 There were 32 coffees on the table, which is ambitious enough on its own—but when you mention that the cupping was held in the local stadium and the stands were full of producers and their families, watching and waiting to see who would take top honors. (“It was pretty nerve-racking!” Sam laughs.) The green buyers came away from that event with coffees from six producers—small chops, the biggest lot is six bags—and big stadium-filling profiles: notes of red apple, toffee, red grape, bursting at the seams. 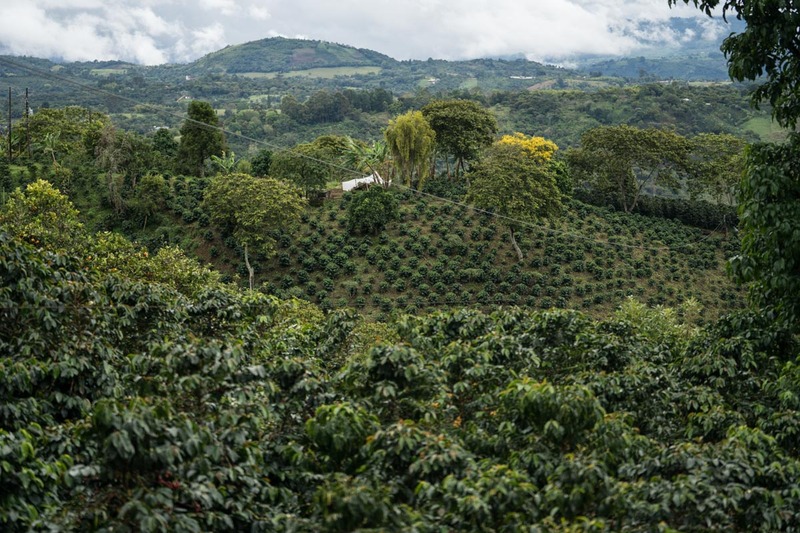 Another area where we’ll be bringing the small cupping-competition model in an effort to identify and reward high quality is San Agustín, Huila, later on this winter. 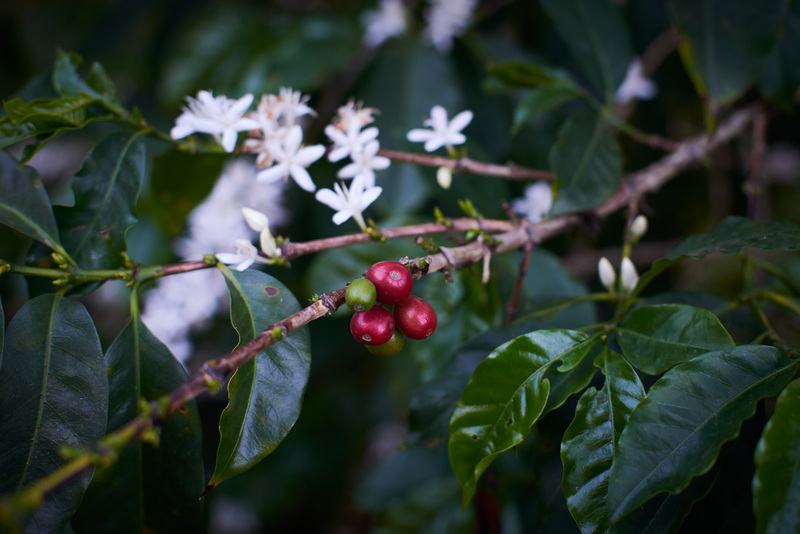 Our longtime parters within the Los Naranjos Association are having a larger-than-usual main crop this year after a disappointing fly crop over the summer, caused by plummeting temperatures and unseasonable rain. While we have been purchasing coffees from this group altogether, we are excited this year to cup through individual lots and to encourage the group overall to continue investing in quality and remaining nimble in the face of increasing climate adversity. While it isn’t exactly “discovery” for us—these producers are there and doing great work, whether or not we know about it—these little competitions that focus in particular municipalities and areas not only allow us to introduce ourselves as enthusiastic buyers willing to pay a good price for quality, but they also allow producers to see and trust that there are other options for them in terms of delivering coffee, options that are above and beyond what the local market price for parchment is. 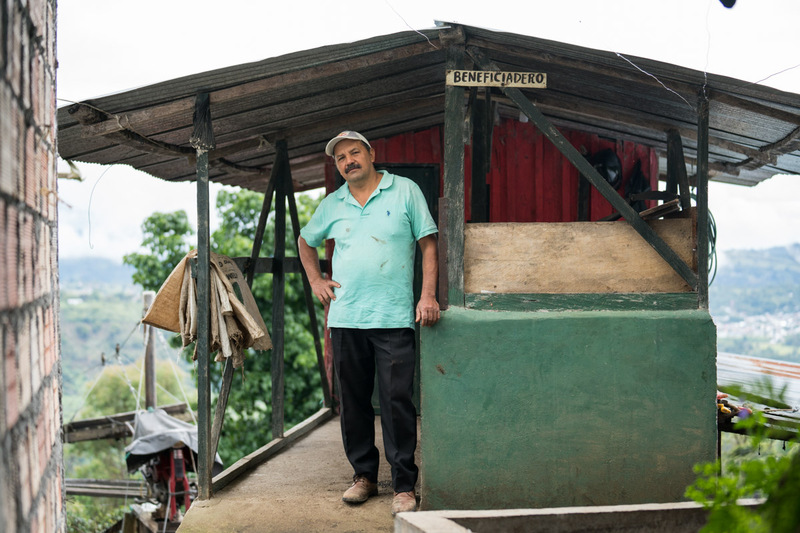 While we deeply respect Colombia’s national market pledge to buy every single coffee produced in the country, which does offer stability to producers no matter what their situation or farming philosophy, we are also glad to see that increasing access to a specialty market has provided more substantial livelihoods and increased the future prospects for smallholders who are able to take that advantage. In other words, we hope that through continued work, year-round cupping, and a lot more personal introductions to small farmers, we will see more and more growers throughout Colombia’s growing regions achieve that “little bit of an edge” for themselves—and then some. 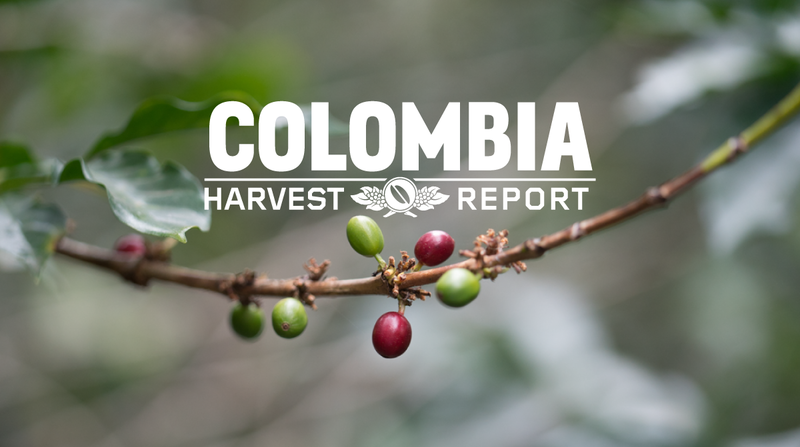 Looping back to the weather report, it’s important that we don’t get distracted by this year’s banner harvest in Colombia, with production up nearly half a million bags since 2017/18. Many regions experienced unpredictable flowering and harvest for their mitaca or fly crop, which created extra stress during the main harvest as it often requires longer picking periods, congestion at the mills and in driers, high labor costs, and shipping delays. What’s worse, combining these additional pressures and problems with what is widely being considered a price crisis, and what we’re facing are major obstacles, including simply convincing farmers that producing high-quality coffees might very well be the one viable solution. When coffee is seen as more of a financial burden than a benefit, however, the results are disastrous: Farms are abandoned, land is sold, trees are removed or replaced with lower-quality coffees (even Robustas), and the next generation of producers simply leave to find work in the cities. While hyper-local cupping competitions certainly won’t tip the scales for Colombia overall, our hope is that this increase of awareness of and access to the specialty market will serve as a sign of possibility and hope for smallholders who want to continue putting their life, love, and legacy into coffee production for years to come. Finally, we’d like to extend a virtual moment of silence in honor of Carlos Sánchez, who spent more than 30 years portraying the classic cafetero Juan Valdez in advertisements, photographs, and in the mind’s eye of millions of coffee drinkers. Sr. Sánchez’s iconic mustache, trademark white hat, and open passion for “the richest coffee in the world” helped consumers worldwide begin to associate their morning brew with the real producers behind the beans, and we in the specialty-coffee industry have also undoubtedly benefitted from his widespread appeal and visibility on behalf of the National Federation of Coffee Growers. Su memorial puede ser una benedición.